Boatbid.com FEB 2016 Auction Now Live! Bidding has just begun for the FEB 2016 Boatbid! Boatbid.com is an online boat auction distinct from other online auctions. It is not a “distressed-vessel” or an eBay style auction where the winning bid is obligated to the purchase sight unseen. Instead the winning bidder (if the reserve price is met), is given the opportunity to submit a purchase and sale agreement. Purchase contracts, secure deposits and surveys are all part of the BoatBid process and our Waterline Boats / Boatshed Seattle agents will assist you through it all. Bidders names are confidential – if you are out bid you will receive email notification so you can place a higher bid. Go to Boatbid.com or click the link below to let the fun begin! Boatshed International Yacht Brokerage offices worldwide. Featured Boat – Tollycraft 48 CPMY! The Tollycraft 48 Cockpit Motor Yacht is a desirable model and known for its top-quality design and construction. 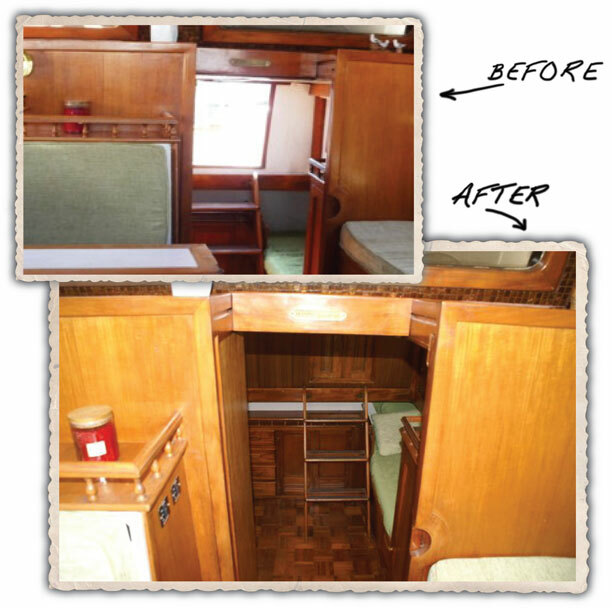 Waterline Boats / Boatshed Seattle recently added a 1985 Tollycraft to our inventory! 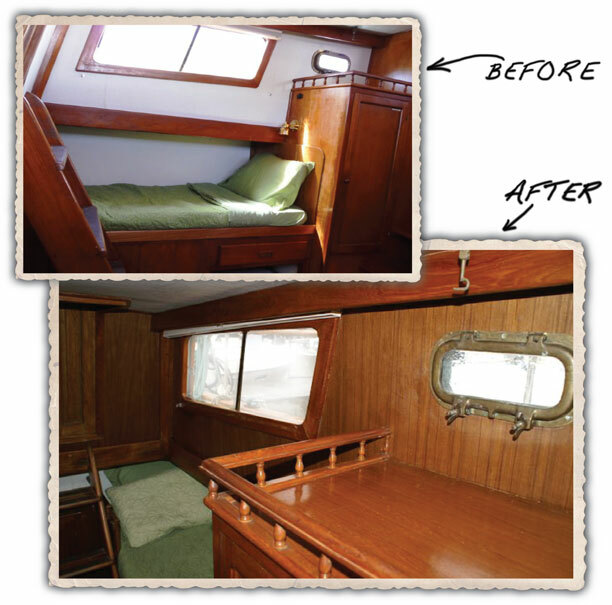 Come on…picture yourself stepping aboard for a peek at some of the highlights of this Tollycraft 48 CPMY…. 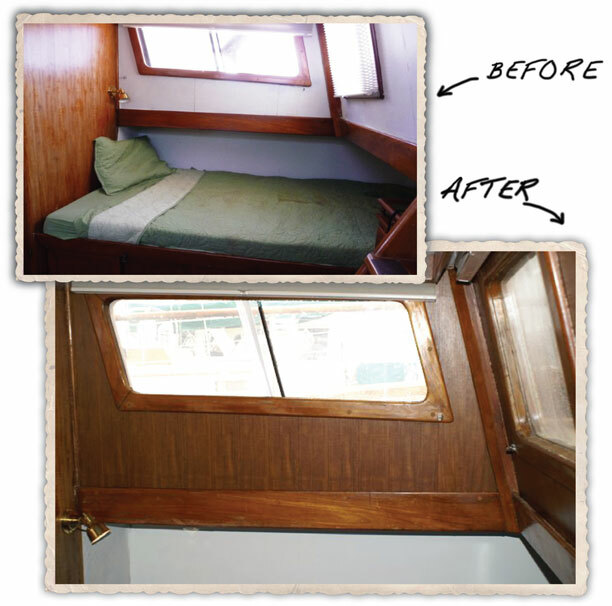 The salon entries are port and starboard doors on the main deck and an aft entry from the sundeck. The salon is bright and open with an L-shaped convertible sectional, a custom high/low coffee and dining table, a practical breakfast bar, built-in entertainment system and a leather helm chair that doubles for salon seating. The galley is flooded with natural light from the windshield above. There’s no feeling of being in a cave, or separation from your guests with the open view to the salon. Yet the mess you make in the U-shaped galley is out of sight. A comfortable booth dinette, perfect for a casual lunch with the crew when not entertaining is located just across from the galley to starboard. Forward of the galley is the guest V-berth stateroom and en-suite head. The master stateroom is three steps down aft of the salon, providing plenty of separation from the guest stateroom which makes for much more civilized cruising. A centerline queen berth keeps the task of making the bed easy. Other amenities include an overhead hatch, hanging lockers, two night stands, storage drawers, a vanity and en-suite head with a large separate shower. Take just a couple of steps up from the sundeck to the fully enclosed canvas-and-isinglass flybridge, perfect for protected piloting and also an additional room for social gatherings or for sipping a beverage while enjoying the sunset or a hardy cup of coffee while watching the sunrise. This Tolly could be yours…..the owner wants this boat sold….and wishes for it to be under the command of someone who will enjoy the boat as he has for the previous 15 years. He is open to offers. Bring YOURS! Not the perfect boat for you? Check our lengthy inventory list by click the link. Or give us a call – 206 282 0110. This 2003 Camano 31 is one of few built without a flybridge – and identified as a “Gnome”. Gnomes, as everyone knows, guard treasure, and this low-profile beauty is a hoard of value. The Camano 31 has rightly earned the reputation of being well-designed and carefully built. The result is a sturdy, maneuverable, economical and capable vessel. And there are very few boats of this size that offer such a roomy, bright interior space and 360° visibility. Change Your Attitude…. By Changing your Latitude! The beautiful autumn colors are disappearing with each falling leaf and the long, cold, sodden gray days of winter are on the horizon. Sound depressing? 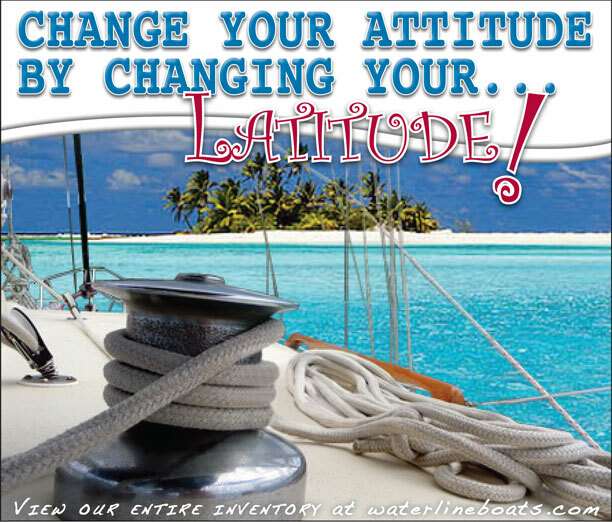 It’s the perfect time to change your attitude by changing your latitude! Ja! That’s right…it’s the best time this fall to shop and buy a boat! 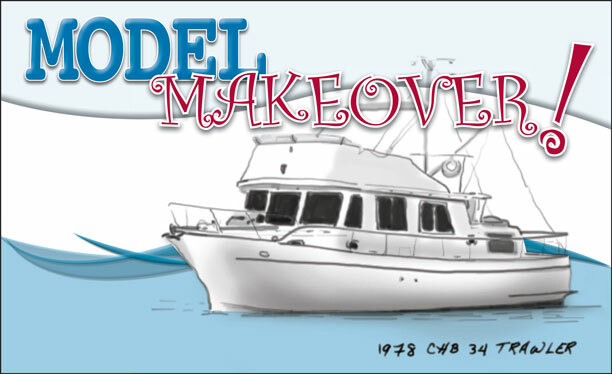 Whether you’re just getting into boating, upgrading or downsizing your vessel you’ll want to join in our celebration. Sellers want their boats sold before winter and it’s a great time to make a deal. 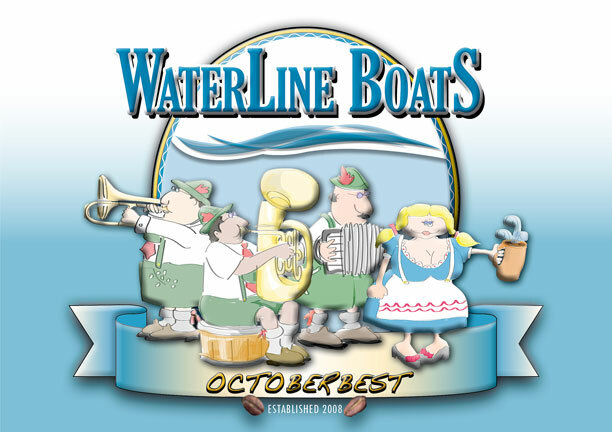 Waterline Boats / Boatshed Seattle has ninety listings around the Pacific Northwest. And our Seattle Lake Union docks, 2400 Westlake Avenue N, are a boat shopper’s destination! We have over twenty brokerage sailboats and powerboats in a variety of styles: trawler, motoryacht, cruiser, sportfisher, sedan, ketch, schooner, pilothouse, steel, fiberglass, aluminum, and more, ranging from 31 to 54 feet. And we have many more brokerage vessels nearby in Seattle for easy showing! Come and join in our Octoberbest celebration. Pick out das perfekte Boot and enjoy a brew (fresh ground coffee that is!) with us. PROST. Vessels At Our Seattle Docks> Bracewell Pacesetter 540 2008, Bracewell Pacesetter 540 2002, Norseman 447 Custom Aluminum Cutter, Hank Hinckley OC 42 Pilothouse, Pacific Trawlers 40 Pilothouse, Friendship 39 Sedan, Alajuela 38, Helmsman Trawlers 37 Sedan, Bayliner 3688, Steel Schooner 36 Colvin-design, Californian 35 Aft Cabin, CHB 34 Trawler, Sea Ray 340 Sundancer, Bayliner 3485 Avanti, Grady White 330 Express, Four Winns 328 Vista, Camano 31 Trawler 2005, Camano 31 Trawler 2005, Camano 31 Trawler 2002, Camano 31 Trawler 1995. Pacific Nor’west Boating Features Willard 30 Trawler! Waterline Boats / Boatshed Seattle has four Willards in its brokerage Inventory! Each of these legendary trawlers is interesting in its own right, and our Willard 30 was recently featured in the on-line magazine Pacific Nor’west Boating. 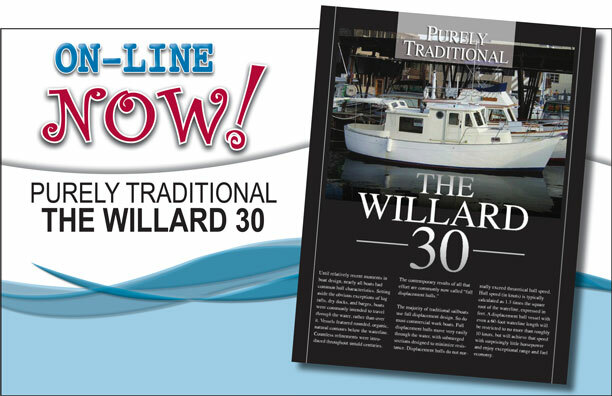 Click to read> Purely Traditional The Willard 30 Article starts on page 95. View our Willard inventory by clicking the links below for full specs, up to 80 photos and videos of each. Got your attention? Give the agent listed above a call. These guys love to talk about their Willards and show them too!